The chances of Clinton and Trump to win can be assessed as 60 to 40. 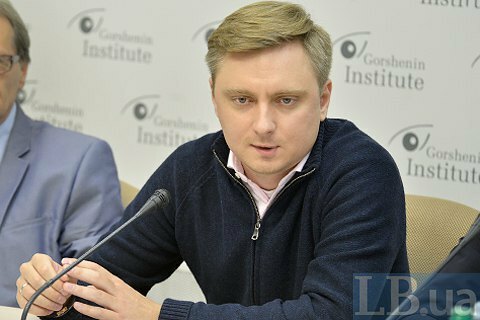 Yevhen Kurmashov, director of political programmes at Institute Gorshenin, has said at the roundtable hosted by the institute. "According to my estimates, the chances of Clinton and Trump to win can be assessed as 60 to 40. Clinton is indeed slightly ahead. But it should be noted that Clinton and Trump basically had different starting points before the start of the campaign. If you look at the electoral geography, there are so-called Democratic and Republican states which have a history of supporting only Democratic or Republican candidates. The trends of the recent years show that the traditionally Democratic states give a Democratic Party candidate a much larger number of electoral votes than a Republican candidate. If we consider the states that are considered Democratic, Hillary Clinton right from the start had about 200 electoral votes, whereas 270 electoral votes and more are required to win. Donald Trump started his campaign, having 160 electoral votes from the so-called Republican states as a guaranteed reserve. This means that a Republican candidate traditionally needs to work harder to get the necessary number of electoral votes from swing states numbering 11-12 in this election," he said. The expert also pointed out that Clinton is better prepared for the election in terms of technology and resources. "Election is only partly a fight of personalities and manifestos, whereas in the first place it is a competition of resources. If we look what resources are available to Donald Trump and Hillary Clinton, we will see that the Democratic candidate has a larger number of resources and tools in stock. Clinton is better prepared for this election campaign. I mean both media, network, financial, personal and technology resources. When ratings are prone to fluctuations and both candidates go head to head, voter mobilization technologies come to the forefront on the eve of election day. Hillary continues to be far ahead of Trump in this aspect. And does so in the fieldwork, when she meets voters in small towns, campaigning from door to door. All of these technologies, which proved effective in the Obama campaign, work for the Democratic candidate on the full scale," the expert said. Kurmashov pointed out that the UK's recent decision on the Brexit shows that forecasts should not be built exclusively on the logic, technology and survey findings. "From the point of view of logic and analysis, the UK's Brexit was not to take place. Most opinion polls showed that this idea did not enjoy the support of the majority of British citizens. All the analysts were certain the Remain campaign was to win. And suddenly something absolutely inexplicable happened and the idea which destroys the foundation and proves all initial forecasts wrong wins," he said. "This trend was best described by American documentary filmmaker Michael Moore, who said that Trump has a chance to win because today's choice of millions of American voters in favour of Trump is a Molotov cocktail thrown by the humanity at the political system. This is a beautiful metaphor that is applicable not only to the USA today. But going back to the States, we can say that the fate of the election and the new president's name depend on how critical the mass of the American people who want to throw the Molotov cocktail in the face of the establishment will be," he concluded.